Advertising | Международный поиск бизнес - контактов, партнеров, дилеров, представителей. 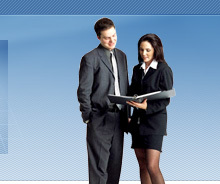 We have a large experience in serving clients in different types of industries. We handle both b2b and b2c advertising. Clients range in size from "mom and pop" businesses to major corporations.